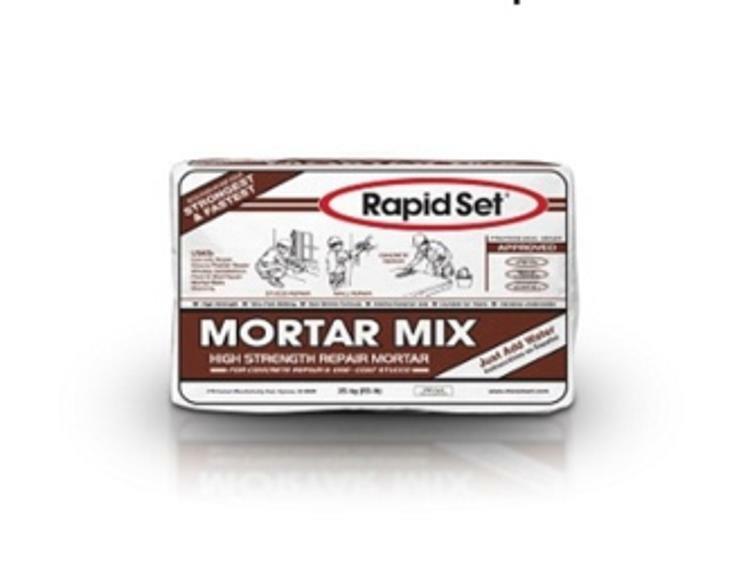 When you need a mortar with rapid strength gain, high durability and low shrinkage, use Rapid Set® Mortar Mix. Use for vertical and overhead applications. 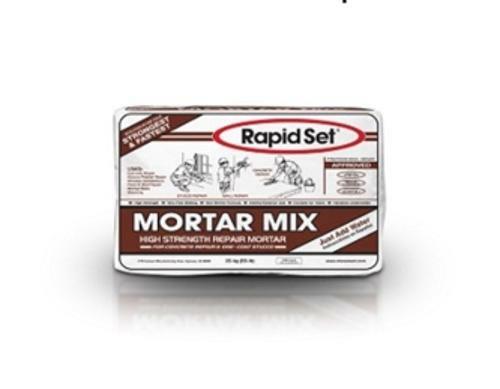 A high-performance blend of Rapid Set® hydraulic cement and quality sand, Mortar Mix is non-metallic and no chlorides are added. Mortar Mix is durable in wet environments, sets in 15 minutes and ready for traffic in 1 hour.